There are ways to increase the over all value and beauty of your home just by doing something as simple as building a porch. 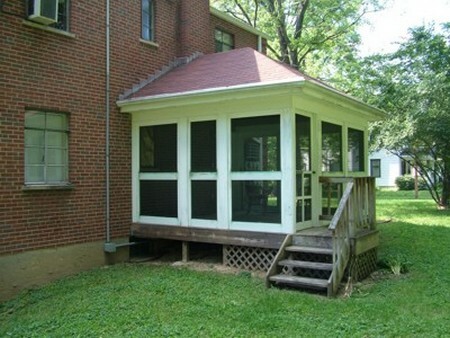 Here is how you can give your home a maker by adding a porch. You need to determin how much room you have to build your porch. 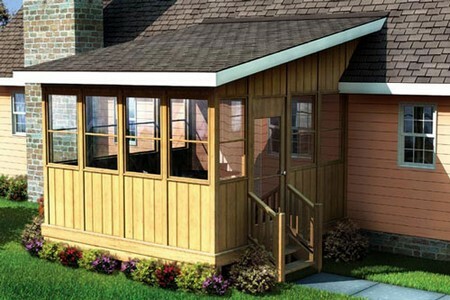 Basic furniture measurements will require that your porch should be 10 feet long by 5 feet wide to accommodate basics. If you want to serve guests you could decide to make it deeper. If there is space you can add 2-3 feet from front to back in order to make room for your specific tastes and needs. When you are sketching out your design on graph parer, measure every square as 6 inches of real space. You should make your plans as real as possible. Your overhangins, roof, gutters and more should fit your house plan. You may use other resources to get ideas on how to make the roof lines compliment the design of your house. Consider purchasing pre made materials. Railings and balusters should be purchased. For the rafter and foundation wood work and the stair case, you need 2 x 8 lumber boards. You also need 2 x 6 boards for the area that will have the most traffic when completed. These boards used should be salt-treated. You can use a plan from the internet to build basic footings and get a grasp of framework and foundation. You need to pur your concrete. Every support post should have 18 inches of concrete. These footings is the support that will hold your structure up. Cut the wood for the foundation of your porch with a circle saw. Put the structure together with 4 inch stainless steel screws and nails. Place your pre made rails around your structure with stainless steel screws and nails. The foundation for the stairs should be secured with stainless steel nails and screws as well. Build you porch with the 2 x 8 lumber boards. Also, you need 1.2 inch plywood sheathing with asphalt shingle covers for your roof. Build your overhangs and gutters, downspouts and splash blocks. Paint all wooden surfaces with exterior paint. Apply the paint in several thin layers. Allow each coat to dry thoroughly before the next coat is applied.